Looking for tips? Check out these e-Books! These books are all written by tech experts with useful explanations and clear instructions. Download them right away — or have a CD shipped to you. When you click the ‘Buy Now’ button, you will be connected to the publisher’s site to complete your purchase. Purchase with confidence using your credit card or PayPal. The charge will appear on your statement as ‘eSellerate’. Titles are updated occasionally, so please check back for new topics. Discover the newest features of High Sierra under the guidance of former Macworld editor Scholle McFarland. You’ll learn great details about High Sierra, including what has changed behind the scenes and what’s new in Apple apps like Safari and Mail. You’ll also get helpful tips on using High Sierra, including how best to customize it to your needs. 193 pages. Version 1.1. Take control of the many tentacles of iCloud as you learn the best ways to save and share photos, work with iCloud Drive, view media on different devices, secure your account, find a missing device, and more. 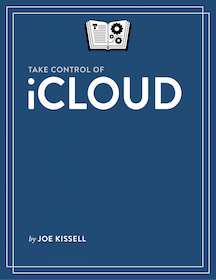 The fifth edition of this best-selling book has the advice you need to avoid problems and get the most out of iCloud. Written by Joe Kissell. Version 5.0. 182 pages. Wouldn’t you feel better knowing that if you were suddenly incapacitated, your family could access your important online accounts, like banking, email, and social media? So much of our lives exists only in digital form, but until now there hasn’t been any calm, detailed advice to help people preserve their digital legacies. This book will help you to identify your key digital assets, plan for what you want to happen, develop a “digital will,” and preserve your data for posterity. Tech expert Joe Kissell provides advice on dealing with large quantities of data, file formats, media types, the need for a “digital executor,” and more. 127 pages. Version 1.0. Do you ever feel as though your email is out of control? Email expert Joe Kissell helps you become more productive with Apple Mail in 10.11 El Capitan and iOS 9, providing essential advice for Gmail, iCloud, IMAP, and Exchange accounts. Joe reveals hidden interface elements, explains how to customize Mail, shares his award-winning email management strategy, demystifies encrypted email, and solves common problems. Version 3.0. 207 pages. This independent book from Glenn Fleishman teaches you how to use an iPhone or iPad with iOS 11 on Wi-Fi and cellular/mobile networks securely, controlling your privacy and protecting your data. It also covers tracking an iOS device, content-blocking Safari extensions, using AirDrop and AirPlay, and solving connection problems. 183 pages. Version 1.1. Whether you use an iPad, iPhone, or iPod touch, you’ll find lots to explore in this book by TidBITS Managing Editor Josh Centers. Learn about what’s new in iOS 11—from major changes to Control Center, to new Instant Markup features, to the multi-tasking features added for the iPad that take it one step closer to being a peer to the Mac—and how to customize it to fit your needs. 204 pages. Version 1.1. Manage your burgeoning digital photo collection with ease, using time-tested tips and a custom workflow developed by digital photography expert Jeff Carlson. You’ll learn how best to import photos, judge them, apply keywords and other metadata, set up smart albums, and protect your irreplaceable images whether you use Photos, Lightroom, or Photoshop Elements! 159 pages. Version 2.1. Password overload has driven many of us to take dangerous shortcuts. If you think ZombieCat12 is a secure password, that you can safely reuse a password, or that no one would try to steal your password…think again! Overcome password frustration with expert advice from Joe Kissell! 149 pages. Version 2.0. 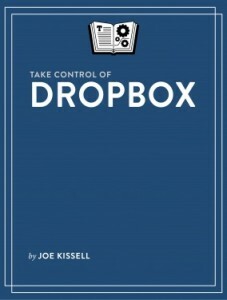 Whether you’re already among the millions of people who sync and share files with Dropbox or you plan to join their ranks soon, this ebook will teach you about the many features—especially the non-obvious ones!—that make Dropbox an exceptionally useful and popular Internet service for transferring files and collaborating with colleagues. 151 pages. Version 2.0. Discover how to make the most out of Pages! Michael E. Cohen digs deep into Pages, unearthing the nuggets of knowledge you need to make your work shine. Learn what has changed since the book’s last edition, including the many Pages enhancements and expanded capabilities that work seamlessly across Mac, iOS, and iCloud platforms. 276 pages. Version 2.0.
n this FAQ-style ebook, iTunes expert Kirk McElhearn explains importing, tagging, organizing, playing, sharing, and more so you can get the most out of your audio, video, and book collections in iTunes 12. You’ll also learn the best way to transfer media to an iPad, iPhone, or iPod. Covers Apple Music! 260 pages. Version 2.0. 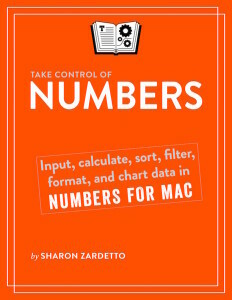 Work quickly, confidently, and effectively in Numbers 3.5 with Sharon Zardetto’s detailed instructions. Input, calculate, sort, filter, format, and chart your data with ease as you learn not just the basics but also special tricks and power-user features. For those who want more than a friendly reference guide, the book provides a hands-on example spreadsheet and a tutorial chapter. 330 pages. Version 1.0. Need to make a presentation? Drawing on years of experience speaking in front of large crowds, Joe Kissell is here to help with everything from figuring out what to say, planning your slides, working effectively in Keynote, mastering complex Keynote features, and ensuring that your presentation doesn’t suffer from technical glitches. 168 pages. Version 1.0. Release your inner geek and learn to harness the power of the Unix underpinnings to Mac OS X! 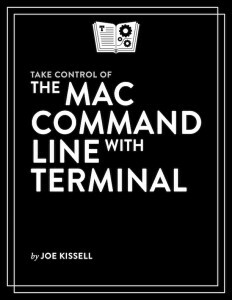 This 167-page ebook from Joe Kissell explains everything you need to know to become comfortable working on the command line in Terminal, and provides numerous “recipes” for performing useful tasks that can be tricky from a graphical interface. Version 2.1.1. 167 pages.